Our 3rd and final ONLINE DRAWING is here and it has been worth the wait. 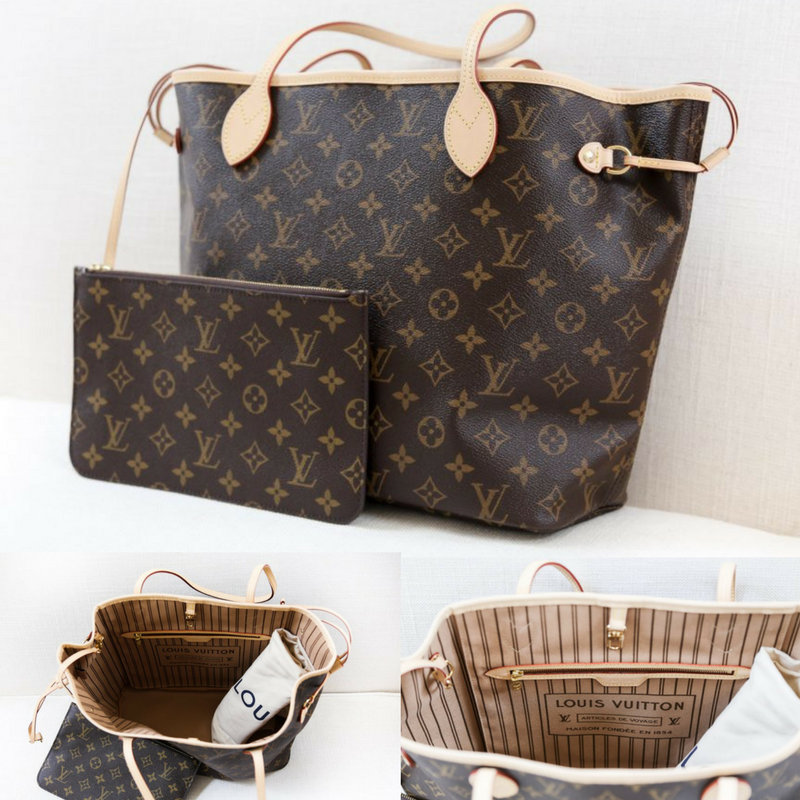 Brand New Louis Vuitton Neverfull MM Tote with Removable Clutch Carry every day and everywhere, this medium-sized Louis Vuitton Neverfull MM in the classic monogram canvas. The redesigned interior features a fresh textile lining and heritage details inspired by House archives. Best of all, the removable zippered clutch can be carried separately as a chic pochette or serve as an extra pocket. Drawstring sides allow you to custom shape your bag. Brand new with dust bag and box. Retails for $1260. We are offering 50 tickets at a price of $100 each. Brand New Gucci SOHO Satchel featuring pebbled leather, double handles, and detachable shoulder strap. It retails for $1750 and is made in Italy. We are offering 100 tickets to enter to win this amazing handbag at a ticket price of $25 (there are only 60 left). GET YOUR TICKETS HERE! Subsequent drawings of ICON caliber bags will be held in September (75 tickets at $50 each) and October (25 tickets at $100 each). While we hope that you will be able to join us on November 10, please consider supporting these drawings if attending the event doesn’t fit into your schedule. It is just another way to help us support the American Red Cross in the National Capital Region. The best part is that the American Red Cross is the real winner because of your participation.